Bob Moesta is one of the principal architects of the Jobs-to-be-Done framework for innovation. Working alongside Harvard Business School professor Clay Christensen, Dr. Genichi Taguchi, and other scholars, he and his colleagues at The Re-Wired Group have developed more than 3,500 products in the past 30 years. In conjunction with the release of our fourth book, Intercom on Jobs-to-be-Done, I caught up with Bob to see how the field has evolved since we first spoke for this blog several years ago. Our chat covers how to dig for and uncover the job your product is actually hired for, the key forces that cause customers to switch from one product to another, and how to solve the riddle of zombie revenue – income you might be receiving from inactive users. JTBD interviews are about uncovering actions, not opinions or products. What progress is the buyer trying to make? If a product is in development, you can still pinpoint the Job-to-be-Done. Consumers are already getting the job done one way or another through a different category. Where are they trying to make progress, but can’t? Rather than finding a new Job-to-be-Done and disrupting themselves, larger companies tend to discourage the competitor – causing them to fall behind. Each product has a big hire (when it’s purchased) and a little hire (when it’s actually used). Design for both, but value is delivered in the latter. Opportunities for innovation are found at the edge of where people want to be better. This is why habitual users of a product don’t make great JTBD interview subjects. They aren’t looking to improve their situation. Zombie revenue results from multiple variables: The product did the job and customers moved on, customers don’t understand what to do with the product, or the product does a different job than the developer thinks it does. The hardest thing for startups who are new to JTBD: taking their product out of the interview equation. It’s often easier to begin with interviews on a competitor. Des Traynor: Our guest today is Bob Moesta, who is the president and CEO of the Re-Wired Group, and also one of the core figures in the Jobs-To-Be-Done methodology. Bob, could you briefly introduce yourself and Re-Wired? Bob Moesta: The Re-Wired Group is a small consulting firm based in Detroit. We help big companies, small companies, and entrepreneurs develop and launch new products, so we’re product guys at heart. Des: Just like us. Where did Jobs-To-Be-Done come from for you? Bob: I had the blessing of being able to intern for Dr. W. Edwards Deming in the mid 80’s, and he took me to Japan and taught me a lot about manufacturing and development methods. I ended up connecting with people like Dr. Genichi Taguchi. One of the things that came out of it was this notion of focusing on functions versus problems. As an engineer and someone trying to develop things, I found that what people were saying and what they were doing were different things. Jobs really came from this notion of what I call “supply side jobs,” what jobs can your product do? But then, I came to realize I needed to understand the jobs that consumers want to get done. It was this flip into the consumer space to realize that I couldn’t connect the marketing data down to the technical side. Jobs really was the process and rigor of digging pretty deep, almost interrogating consumers to understand what they really meant. It started in the late 80’s and early 90’s, and then formalized in ’93-94 when I started working with Clay Christensen. Des: A lot of our listeners will be, like me, jealous when you talk about Dr. Deming, Clay Christensen, etc. You’ve worked with some truly incredible people in your career. Bob: Sometimes it’s a “how did I get here” kind of thing, but I’m a firm believer of two things. I have what I call a ‘three foot’ rule: that if you’re within three feet of me, I get to talk to you, so that’s actually how I met Dr. Deming. And the other is just always trying to help people. Clay and I have been helping each other for almost 22 years. People like Clay going to conferences and talking about it. You were saturating current markets. There was this new demand for growing niche markets. It’s been five years. How have you seen it evolve? Bob: Most of the stuff that we’ve been doing is always caught under such tight confidentiality, so almost all of the clients we work with, we can’t talk about. You’re a godsend in the sense that you’re not only helping us promote it, but most people, once they see it, they see it as such a competitive advantage. It’s literally been hidden. It’s more popular because we’ve been doing some not-for-profit work to talk through it. The other thing is time. When worked together five years ago the confidentiality wrapped around us was very, very tight, but as you absorbed it all, you became looser and looser with it, so now we’re able to talk about it. There’s a whole bunch of different people who are now kind of stepping forward, like Quicken, Intuit and SNHU. I’ve been working on a book with Clay and Karen Dillon and Teddy Hall. They’ve been really very helpful in reaching out and finding people would be willing to talk about it. It’s pretty exciting. I think the real switch is people willing to come forward and say what it is and how it works. Des: As it becomes less of a secret, more people are willing to speak about it. Bob: Yeah, and he other thing is – this is my own personal opinion – a lot of the marketing theories are coming the end of their S curve. The notion of talking to people, finding common words, putting them together, framing a big market, and then asking, “How do we make an easy, fun product that everybody wants to do something with?” There’s no way to connect it down to the real product sides. The mass markets are pretty much dead. When you do these interviews, there’s a lot to uncover. How do you unpack these insights and translate what the customers are saying into design requirements or technical requirements? Do you have a process? Bob: The key is really understanding what I call the “mechanisms of value.” What is the causal thing? I learned from Deming that nothing is random. Though we have random error, the reality is it’s our way of saying that we don’t know. If I walk in with the premise that something caused someone to do something and then buy something, the product or the service is only part of the solution, so it’s almost getting elevation above it. You can start to see the dominoes, those little causal things that have to click into place to happen. We’re not really interested in what people are just saying. It’s what they’re doing or not doing, and almost the energy that’s going through it. We’ll do ten interviews, but it’s like having a thousand surveys. We find a lot of the little subtleties. Are they being pushed into the situation to get a new product, or are they being pulled into it through aspiration, and do they have anxiety or do they have habit? That lens allows us the precision to look at those forces, and then understand how the pattern together. There might be 75-100 variables, which represent millions of combinations, but when you look back at the stories, they only come together in a certain way. At the end of the day it allows us to see what is really happening in the market. It seems lengthy, but I say, “Slow is smooth, and smooth is fast.” That’s a Marine saying. I had a guy recently tell me about how many meetings they don’t have to have because they know the jobs, because they’re not arguing about stuff. It’s that translation down into the tradeoffs they’re willing to make and the technical requirements. I use a process and a lot of prototyping to get it down to the technical requirements. Des: One thing that struck me as I observed the interviews that you did on our behalf, is that you’re only interested in facts. You don’t ask people their opinion of what they’re doing, you only want to know what they’re literally doing. You want to dig down to why they like something or why they didn’t do something. I’m always getting to the action, and then the emotion is the aspect of either the anticipation or the enjoyment, the social part. I need to know the reward that they’re looking for. I’m not worried about their opinions, and I don’t worry about what they bought. The other unique part is it doesn’t matter what they went from and to. It’s trying to build a specification of the progress they were trying to make. Most people are trying to get opinions of the product, and we’re trying to find the vector of progress they’re trying to make. Des: A lot of our listeners are startup folks who either maintain or are in the process of building a product. How do you apply Jobs-To-Be-Done when your product does not yet exist? Bob: There’s actually no new consumption. They’re already getting the job done one way or another through a different category. We help people find the analogous categories, products, or situations where people are trying to make progress, but they can’t. That’s where your technology would fit into it. Des: When you say there’s no new consumption, how does that gel with the idea that something like Snapchat? Are you implying people always switch from something? Des: Something I observe a lot is large, category-defining companies who have a whole business established and the Job-to-be-Done nailed down, but at some point a new technology comes along. Maybe it’s messaging to SMS, or maybe it’s chat email, but there’s some new shift. Why is it that larger companies can’t react and find a new Job-to-be-Done, given all the assets they have? Bob: There are a couple of reasons. One is to think about the momentum of the current organization. They have a current set of brands. They have current messaging. They have current things. What happens is, when the job shifts, when they find a new way to make progress with a new technology and it doesn’t align, the company tries discouraging the newcomer. Clay lays this out perfectly in The Innovator’s Dilemma. Say I have a project to go disrupt myself, and the momentum of the organization is so great that I want to go rent some prototypes on bottles because I’m making a new product, and it’s like, “Yeah, we only order a billion bottles or nothing.” They end up co-opting every idea and not being able to deliver on the job, because they’re still trying to reap the scales of the old business. Des: When they evolve their business based on their success, the business becomes a big mess of assumptions about the world as it exists today, and when it changes, they can’t react quick enough. When you talk about a billion bottles, it makes sense. Books are similar. We’re set to sell books by printing them on paper and putting them on shelves and stores, and they have to be 300 hundred pages. Are all these unspoken assumptions baked into the company and the company’s view of the job? Bob: It’s not only that, but it’s the business model too. They know how to make margin on it, and they have the supply chain set up a certain way. They have buying scale. So if something shifts, and I go half printing and half digital, now the printer’s going to charge me more. I lose my margin. The other part of this, which Clay and I have been talking about called, is “The Capitalist’s Dilemma”. It’s the way the money is looked at and the way growth is put together, and the metrics people use. It becomes impossible to actually iterate and innovate at the lower end of the market where you might make less margins, but you actually might help more customers. You’re still generating more cash, but if I made 40% margin before and there’s still 30 or 40% of the market that doesn’t use you, and you can come up with a product that has half the margin, but you’re getting at it, all of a sudden, no one will launch it. Des: There are a lot of words and phrasing you use around Jobs. One is the idea of the big hire, when someone makes the decision to hire a product. You also talk about the little hire, which is when the customer makes the decision to use the product. Are these equally important, or does it depend on on if your business model needs the customer to use the product? Bob: I hate jargon, but I haven’t been able to articulate it any better. The big hire is when you buy the can of cleaner and the little hire is when you spray it. The big hire is when they sign up for your software, and the little hire is when they use. What I’ve found, as a product guy, is real value is created in the little hire. I need to know the tradeoffs, I need to know the performance requirements. It’s where you’re willing to give up to get. If I just focus on the little hire, I don’t actually get into the context and I don’t get into the situation. I’ve developed enough products over my life where some are awesome, but nobody buys them. Is one more important than the other? You have to think about both, and you have to realize that they’re very different. You have to make compromises between the two and understand the tradeoffs to get there. You can get trial, but the repeat only comes when you add the value and you deliver them the little hire. Des: Is it fair to say that the big hire informs a lot of the marketing and how you speak about your product, whereas the little hire might inform more about the actual product itself and how it’s used? Bob: Yeah, but the other part is that the big hire also sets expectations of delivery and the expectations of everything wrapped around it. If you just make it about marketing, I don’t think it’s right because it could be onboarding; it could be what you do with past data; it could be reports, where the little hire is almost transactional. Successful companies do both. Des: The phrase “onboarding” is used a lot in software these days – what brings you from your first use of a product to be a regular, happy, recurring, and profitable user. How does that play into this? Is it literally a bridge between a promise made at the big hire to the value delivered at the little hire? Bob: That’s right. It’s helping them understand the struggles they have to go through to get to the progress they want. Jobs is really the process of making progress, and onboarding is almost like the learning curve I have to go through in order to get to that piece of progress I want to make. For Intercom, it’s how do I learn the features? Des: And when you’re interviewing a user of a piece of software, is it a separate interview or separate context when you actually want to talk to them about their active usage of a product versus the day they first bought it? Bob: I’ve tried to do them together, and they’re hard. One’s like a telescope, and one’s like a microscope. They’re almost two different levels. What you’re really doing in the little hire is you’re trying to figure out why they didn’t do. The interrogation is like, “Well, if you did that, why didn’t you do that?” You want to mislead them so you understand where they’re headed. It could be minute-by-minute, millisecond-by-millisecond. In some cases, you might actually just use that as ethnography to watch customers and to understand the onboarding and start with that. They’re very different interviews, in that context, but the same structure holds. They’re still trying to make progress. They’re still trying to do something they couldn’t do before. There is still hiring criteria. Des: Something you’ve said a few times is, “There’s not energy in a habitual purchase.” In the case of people who use Intercom, you wanted to talk to people that’d recently onboarded or recently signed up rather than people who used the product every single day, because there’s no energy involved in their hiring. A similar example is my morning cup of coffee from Starbucks. I don’t go through from first principles and think, “what’s the optimal way to purchase coffee?” I just have a habit. What is that distinction that you’re making? Bob: It’s not that there isn’t energy there, it’s that there isn’t energy to change. There’s no energy where they aren’t looking to make progress. You’ve got to remember, it’s not Jobs – it’s Jobs-to-be-Done. It’s about the thing they want to do better, and that’s where innovation has to be, on that edge of understanding where people want to be better and get better. Where do I invest time to do that? If I ask people who go for the morning coffee every time for so long, I don’t know why they switch, and I don’t know if they want to make progress. Most of the time, they don’t know, and they can’t tell me. If I talk to people who switched, I am able to uncover those underlying causes, and that is the DNA. If it’s so habitual, I’m just not that good. I can’t figure it out. Des: So customers have a desired progress they want to make or the outcome that they’re shooting for, but you recently tweeted that these outcomes aren’t necessarily universal. Just because one of your customers wants this doesn’t mean they all want this. Context matters here. Bob: Think of somebody saying, “It’s so much work. You’ve gotta make it easier.” It’s an outcome that, as a project manager, you can look at, but when you unpack it, it could be the fact that some people don’t have time. In this case easier really means “make it less time. Or if at the end of the day I have no energy, just make it so there’s just no effort. Those are two fundamentally different things, and their goal of satisfaction is just make it so it’s mindless versus make it so when I don’t have time, you can actually make up for me. They’re very different. Context and outcome are the vector of progress. It’s not just the outcome that somebody’s looking for. What’s their starting point, and what’s the direction and magnitude that they’re trying to make progress? Des: That makes sense. Would an example of context be, I’m tired therefore I just want to do something easy, versus middle of the day, I’m busy, so I want to do something quickly. If you hear five different versions of that during interviews, how do you capture it? Bob: We end up using that forces of progress diagram where we ask, “What are all the pushes of the situation that cause people to say, I need to make progress’?” And then when the new idea comes, what is the outcome they’re hoping for when they see that new thing? What about it will help deliver on the outcome they’re seeking? It’s captured in the forces diagram. We use that to actually cluster the real understanding about the value code that’s causing people to make progress. Des: Let’s talk about the notion of “zombie revenue,” the idea of dead customers walking. They’re paying for your product, but they’re not using it. It speaks to the little hire. What’s actually gone wrong, in your opinion, in those situations? Bob: That’s one of my first questions for the clients I work with. I want to get the metric of the degree of zombie revenue. The product either did the job and customers moved on to something else, and they’ve literally forgotten about it, or the fact is that they don’t understand what to do next with it, and so it sits there. I’ve worked with people where we’ve just acknowledged that it’s changed, and they almost want to anticipate they’re coming back. But if you actually say, “Let’s park your account, and I’ll hold your data for a different fee,” there’s almost resentment that builds up on zombie revenue. It’s interesting when they’re one credit card payment away from being cancelled. The credit card expires, and literally you lose 20% of your [revenue] and nobody even knows why. You really need to spend time digging into that behavior. Think of it this way: it’s not what causes them to quit, but what causes them to stay? And how do you reset the value proposition to say, “You know what? Fine. I’ll be a warehouse for a while, but remember, I’m still here and I can help you when you’re ready.” Then, there’s no resentment build up. Des: It’s interesting to transition from the product being a source of value in consumption to being a source of value in storage. Obvious, storage moves it closer to being a commodity. I presume the implication here is the value is potentially less. Bob: I don’t think about it that way. It’s about the fact that there’s a lag. They’ve cancelled the account, they went to open a new account, they couldn’t open the new account because the old email was dead, they had to create a new email. There’s a whole bunch of hassle factors in coming back. From their perspective, they still have the notion that “I need to have this in my utility belt” or “this is something I want to keep” or “I don’t want to lose it,” but the value is very different. I don’t think it’s actually commoditized. It’s about being able to preserve what you’ve done and respect that they’re not trying to make the same progress, as opposed to convincing them to reactivate. It’s their life, and they’re pulling things into their life, and you need to be there when they’re ready. Des: These sound like the same people who hoard stuff in their houses because they can’t psychologically get themselves up to throw it away. Bob: Here’s an example. I started all my cloud stuff with SugarSync. I was PC-based and had it stored there. Then I had this problem where I shared stuff and somebody deleted something on their side, deleted something on my side. It really didn’t matter who, but it was one of those things where I have a SugarSync account, I have a bunch of stuff up there, and the reality is, I haven’t logged into it for a while. Every once in awhile I do, but I have Dropbox, and I have Box. I have these different places, and now I’m moving everything to Google Drive. All of a sudden, you start to look at how these things work, and you start to realize, “Why haven’t I cancelled SugarSync?” In the end, I’ve got a lot of stuff there, and I have no idea how to move it over, and the fact is that at some point, when I need to go to my PC, I still need it. It’s my PC archive in my mind. Des: In their terms, you look inactive, a potentially canceling user; whereas your world they’re doing their job just fine. Bob: They’re doing awesome. I don’t use a PC, but every once in awhile I go back, and it’s there. They’re thinking I’m dead, and I’m not. I’m just not adding things. Des: We have a photo sharing customer, and one of their biggest problems is people aren’t using their product enough. Yet when they went to talk to their customers, they learned that, no, what people were actually, genuinely buying was a nice way to look at photos and not a way to upload photos every single day. There was just this mismatch between what the customers were buying and what the company thought it was selling. Bob: Think of the photo box. My mom would have these boxes full of photos, and they’d come out at Christmas or Easter. They get full, but at the end of the day, it wouldn’t get looked at but two or three times a year. The reality is the value of having those boxes. Just because I don’t interact with it doesn’t mean I don’t value it. Des: Just because you don’t put stuff in a box every day doesn’t make you an inactive user. Bob: That’s the thing that is really important about Jobs. We’re going to see more and more of this as we try to portray this subscription business model. The reality is sometimes the subscription model is not the right thing. There has to be different ways in which to look at it, and that is has to reflect the value they’re bringing to it. Whether it becomes a yearly subscription or a monthly one, you really need to look at the progress that they’re trying to make and the value you bring to that progress. Des: I definitely see a lot of that, where companies have a really solid value proposition, but it’s like, “We’ll convert your files from one type to another.” I need that once. I don’t need that fifteen times. I don’t need it every month, and yet, they’re trying to monetize as if it’s a recurring need of mine. They could actually capture a greater value upfront if they understood that this is a spiky need and not a recurring one. Bob: That’s right, they could charge more. It’s like, I’ll do this for you, but you keep trying to get me to do it, and I don’t have anymore to give you. I don’t know what to tell you. Do you want me to go create something? It’s just kind of ridiculous. Des: How does one dip their toe in Jobs-to-be-Done? Should they start with a customer interview? Should they start with understanding and looking at their current customer base? Bob: It always starts with an interview. The hardest part is when you talk to your customer, to almost pull out your product name. It’s actually easier to do an interview on a competitor’s product and understand what caused them to buy it. What you’ll realize is that it’s not about the product. It’s about the context and the outcome, and the product just happens to fit in that situation. In Japan they taught me to come up with requirements that are technology independent. Ultimately, Jobs is about getting to the right altitude to see your customer and understand the different lines of value they’re seeking. Then you can actually come back with better products at lower costs to make more money. 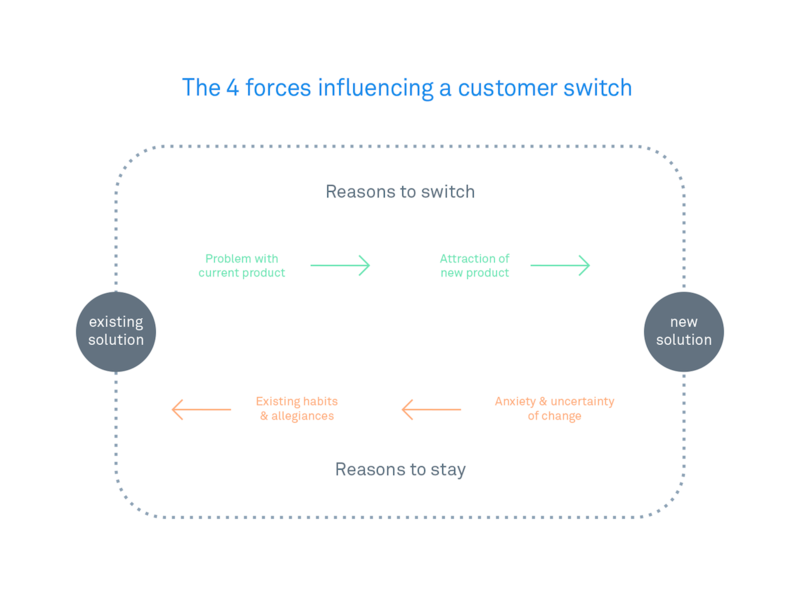 Des: So in the short term when we start talking to either our own customers or our competitor’s customers, take the product out of it, and to talk about the need? Bob: And dig. Dig down. If they say, “The product is too much work” you’ve got to ask, “What does that mean?” If they say, “It’s too much energy.” What does that mean? Is it “I don’t have the mental energy to do it” or “It’s just too many moving parts” or “It’s just too much time”? Until you get down to the action of what these words mean, especially as a developer, you don’t know what to do. That’s why these interviews are so important. Des: Something you taught me was to hate the words “fun” and “cool”. Bob: Yeah, and “easy” is now becoming the number three. It’s just like, “I want it easy.” Okay. What does that mean? There’s so many definitions of it. Technical people are so competent they literally can come up with 100 ways to make it easier, but if I don’t have a clear definition, we go round and round and round and round, and it’s just brutal. Des: We’ll leave it there. Thank you so much for joining us today, Bob. It was great to catch up with you again. Bob: Thank you for having me. Congratulations on your latest round of fundraising, and keep up the good work. I love the product.